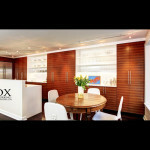 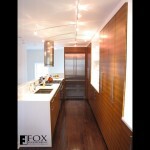 This image of these dyed zebrawood kitchen cabinets looks along the long wall of tall and short cabinets. 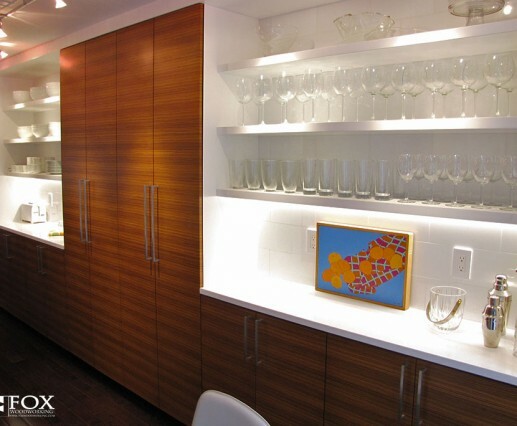 In between the tall cabinets are solid wood shelves that have been painted white. 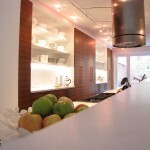 The lower shelves have a groove into which is placed a strip of LED lights. 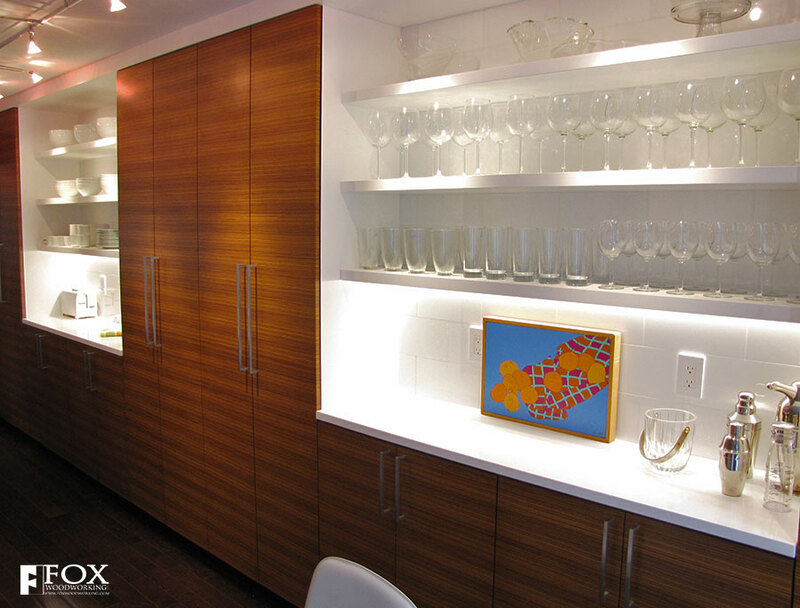 The horizontal orientation of the grain that has been matched across the doors really accentuates this long run of cabinets.